Call us at 732-376-0606 today. Located in the heart of Perth Amboy, NJ for 12 years, the leading health professionals at Back Works Chiropractic are dedicated to helping you achieve your wellness objectives -- combining skill and expertise that spans the entire chiropractic wellness spectrum. Bryan Siegel DC is committed to bringing you better health and a better way of life by teaching and practicing the true principles of chiropractic wellness care. God gave our body the ability to heal itself. The brain and nervous system control and coordinate all the functions of the body including the immune system. 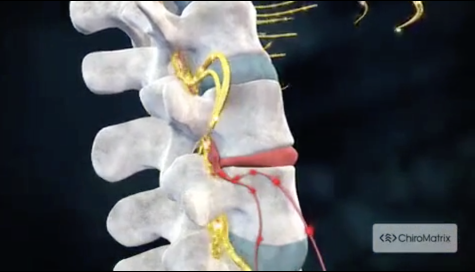 Loss of spinal alignment will interfere with the normal function of the nervous system and cause ill health. Chiropractic adjustments restore normal function and allow the body to work towards its optimum potential, physically, mentally and socially. Patients seeking treatment at Back Works Chiropractic with Dr. Siegel are assured of receiving only the finest quality care through the use of modern chiropractic equipment and technology. Dr. Siegel and the staff have a genuine concern for your well-being! If you are new to our website, please feel free to discover and learn about chiropractic wellness. If you are interested in starting your journey towards wellness please feel free to contact us Please explore the member wellness section of our website for wellness articles, resources, and health facts---specifically targeted by Dr. Siegel to your wellness needs and interests. Thank you for being an important part of this healing process.